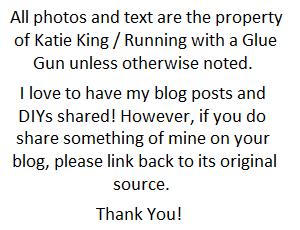 As promised, today I'm going to be sharing with you my own bunny DIY! 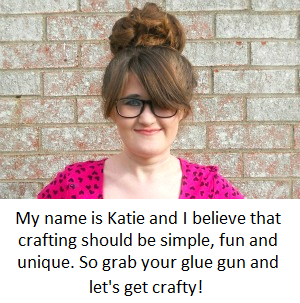 This project actually came about when I shopping at Target and found a pack of wooden bunny ornaments for only three dollars. 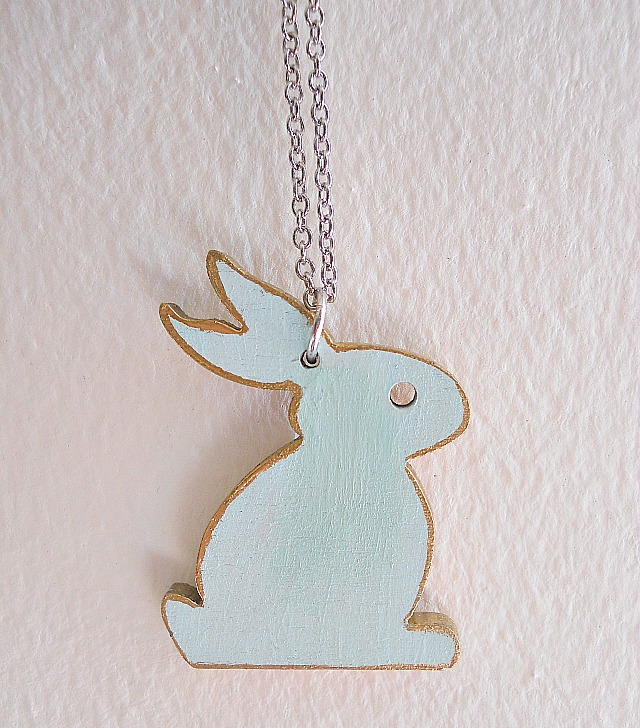 When I saw the bunny ornaments, the first thing that came to my mind was an ''Easter necklace''. 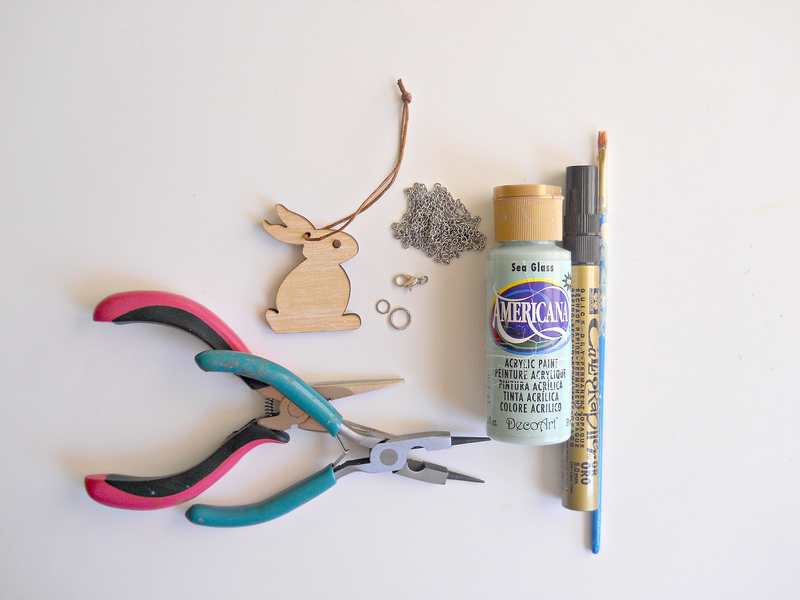 So today I'll be showing you guys how you can transform these wooden ornaments into charms for necklaces! 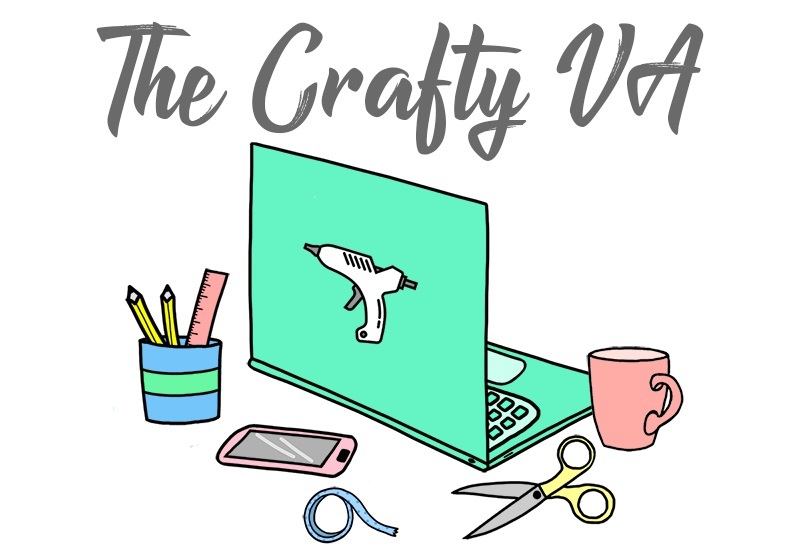 Step 1: Using your scissors, cut off the string from your bunny ornament. 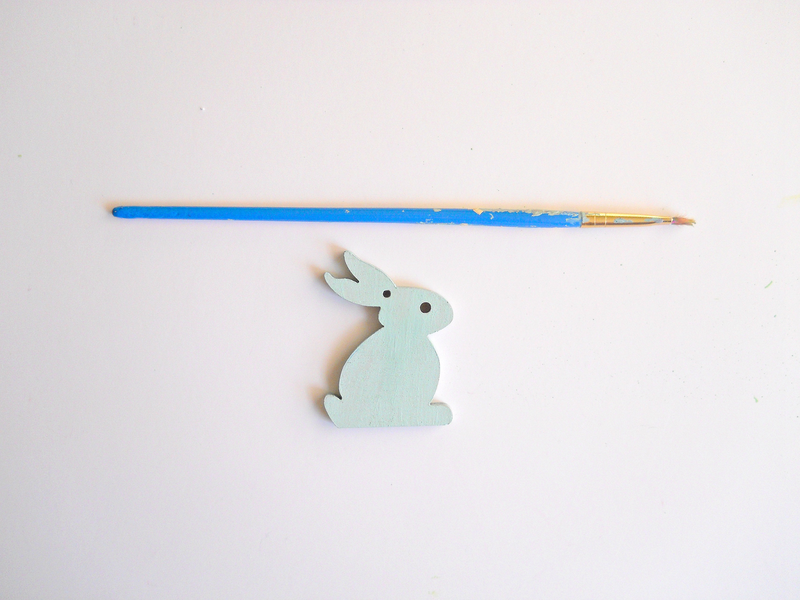 Step 2: Paint the front of your bunny ornament in any color of your choice. Then set it aside to dry. 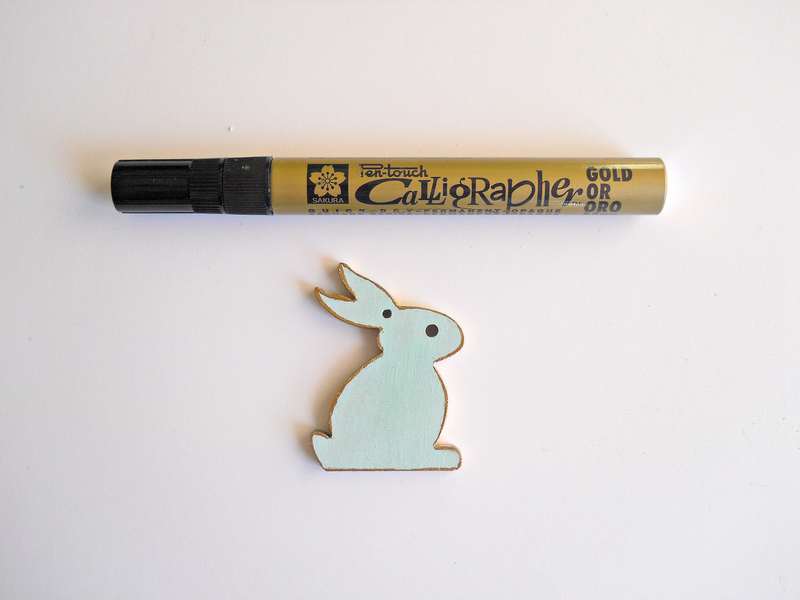 Step 3: When your bunny ornament is dry, take a paint pen (in the color of your choice) and paint the edges of the ornament. Once your done painting, set your ornament aside to dry. 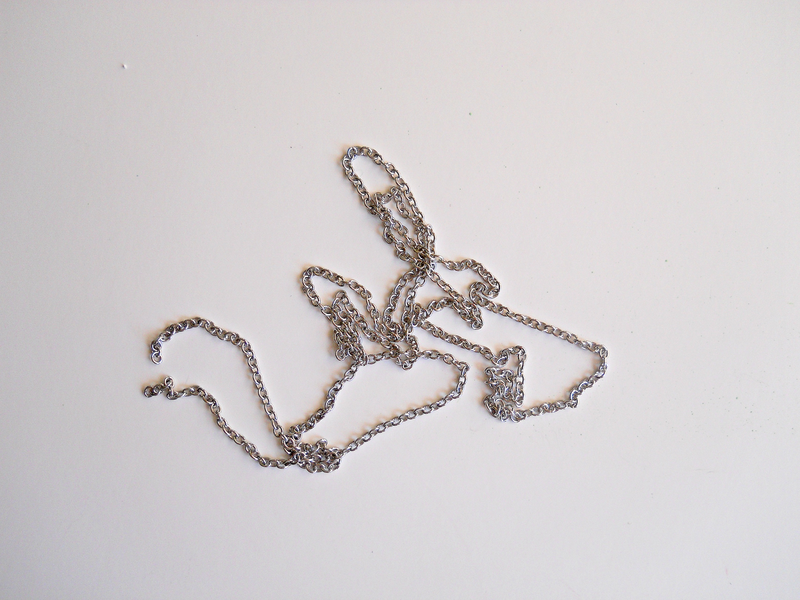 Step 4: While your ornament is drying, take your jewelry chain and cut it to length you want your necklace to be. My necklace ended up being 24 inches long which means you would want 48 inches of jewelry chain. 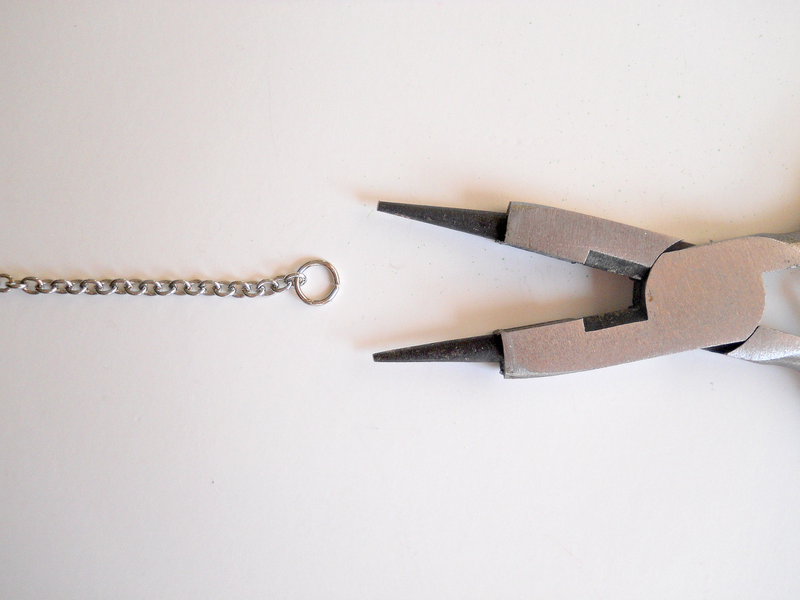 Step 5: At one end of your chain attach your clasp. 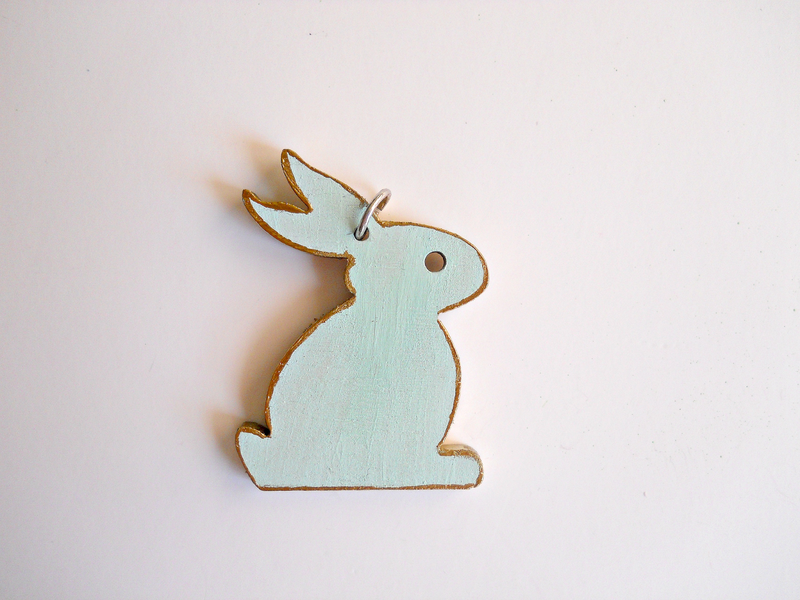 Step 6: Take a jump ring and attach it to your bunny charm. Step 7: Now feed the chain through the jump ring (that your bunny is on) and slide the whole charm till its in the middle of your chain. 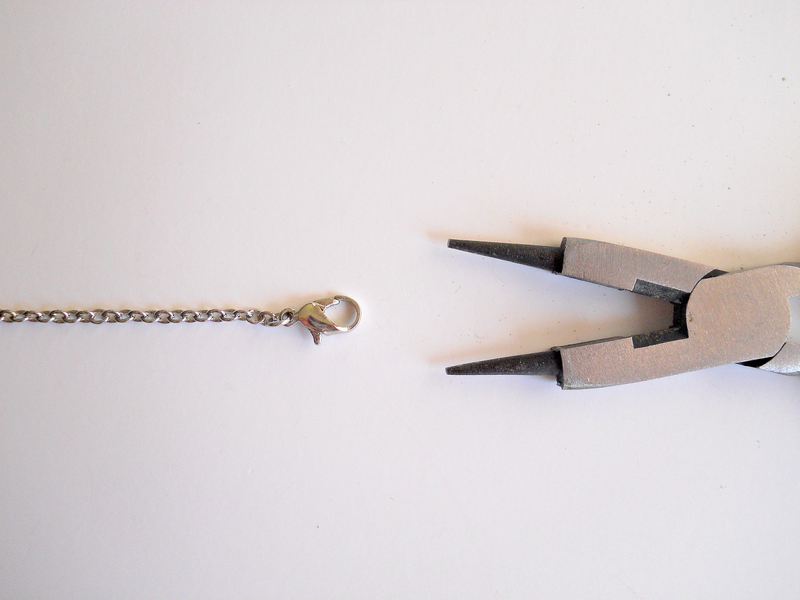 Step 8: Once your bunny charm is on your chain, attach your jump ring to the other end. When your jump ring is on, you are ready to wear your necklace! 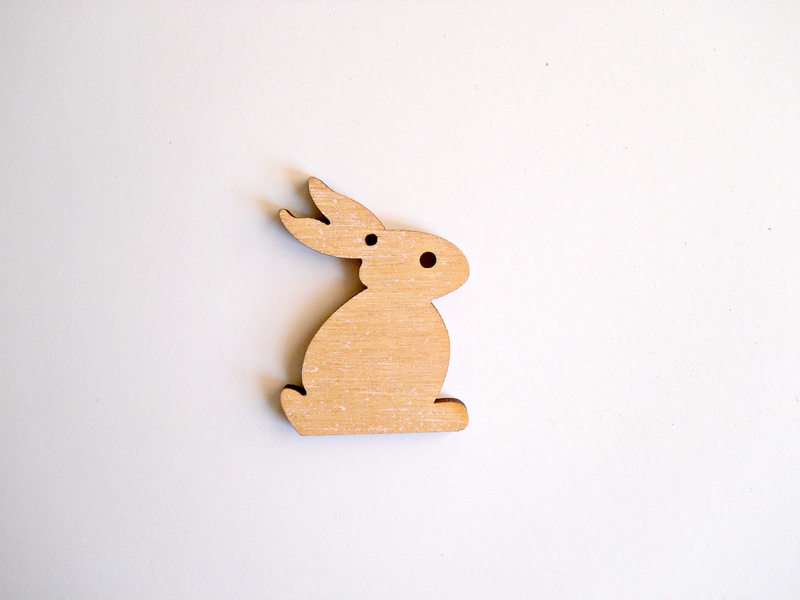 Now if you can't find these wooden bunny ornaments at Target, you could always order these wooden rabbit cutouts from Etsy and just drill a hole in the top of them for your jump ring. 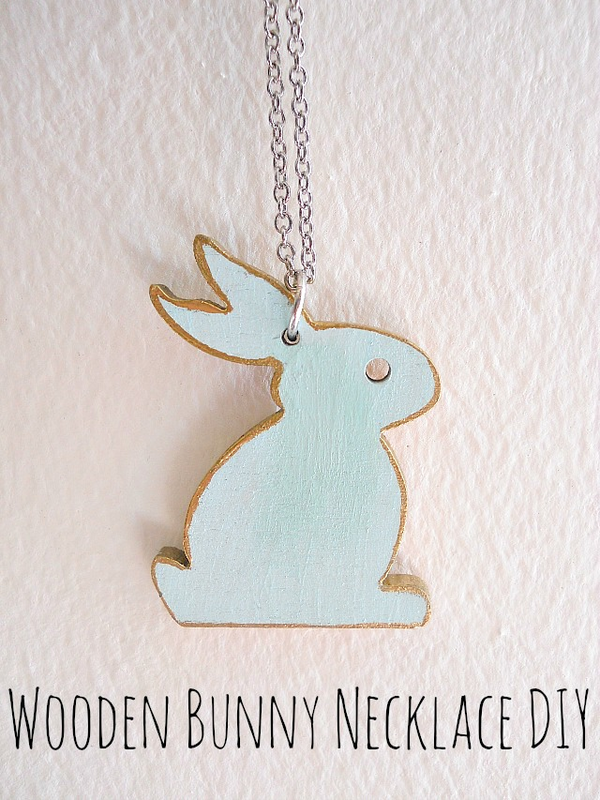 Also if necklaces aren't your thing, you could always follow the same steps for decorating the wooden bunny but just make it into a key chain instead. 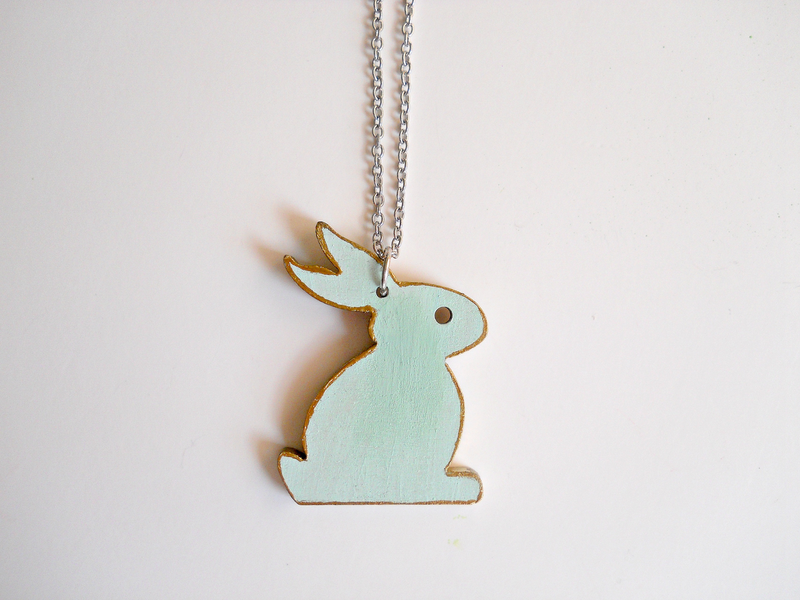 So what do you think of this wooden bunny necklace?